ADVENT SWIM ACADEMY – Winning is our habit! # 1 Program in Canada! Register Today & Get First Lesson For Free! Only We Have This Unique Program! Welcome to Advent Swim Academy the leading program for Parents, Teachers & Kids! We are dedicated to providing you with the best experience possible. Our program has been designed to share with parents, teachers, and instructors more than 42 years of successful swimming teaching techniques developed by the best high-performance swim coaches. ADVENT is more than a regular swim club, it is a powerful and unique swimming program. It is designed for people who value quality and great results. Now, high performance coaches are available and can share their knowledge and skills with everyone! Our Program Director and Head Coach, Dmitriy Kononenko prepared many Olympic athletes and Senior Nationals for Canadian National Teams. He is a highly educated, knowledgeable and skillful coach. His proven experience in coaching is based only on facts. Many of his athletes received athletic scholarships and awards overseas, across Canada and in the USA. His passion is to improve the quality of teaching swimming, worldwide. We are proud of having coach Dmitriy on our team. It is challenging to alter bad habits acquired from wrong technique and skills. Stop wasting your time and money on poor coaching! Come and try our service. You will notice the difference immediately. Advent Swim Academy offering high quality professional coaching and technique instruction for all ages and abilities. The goal of our program is to provide every member an opportunity to improve swimming skills and achieve success at his or her level of ability, from novice to international competitor. All of our coaches, as members of the Canadian Swim Teacher and Coaches Association, have access to the most comprehensive training and certification program for young coaches of any sport in Canada. They provide assurance that the time children spend in training will be quality time. FIRST LESSON INCLUDED FOR FREE and can be easily TAKEN WITH YOUR TRY-OUT SESSION TODAY just contact us for more details. Advent is constantly growing and we are always happy to have new members. Thank you for joining us. We are looking forward to meeting you. Please feel free to contact us for any question you may have. We provide high quality swimming programs for the community as well as deliver world-class training opportunities to those who pursue a high performance path in swimming. Our philosophy is to treat you as we would like to be treated. With individual approach, flexibility and only quality service, it’s no wonder that some of our best reviews are about our amazing program. Our productive program is the perfect place to receive more detailed instructions about swim technique. We know everyone needs quality. Our philosophy is to treat you as we would like to be treated. Extra attention, more training, and something to offer every competitive swimmer aged 8 to 25. Trainings: Mental Preparation, Dry-land, Swimming, Stretching-Yoga-Flexibility. Unique sets for improving technique of all strokes, fitness level, and confidentiality. Our loyal member is returning year after year. Swimmers and parents alike praise the immediate results! Advent maintains an overall 5-Star rating. We began teaching on our own after a lot of requests from parents and athletes who recognized the unique style and methods that we utilized. This ability combined with more than 39 years International and North American experiences and our love for people, especially children resulted in accomplishment and progression in swimming and training even when the student had been very unsuccessful in the past. It is a great present for yourself, kids, family members and friends! You may take 5 and more lessons! Length of each lesson depends on your or your child’s abilities and needs. MORE THAN JUST SWIMMING. This is a commitment to overall health and fitness. Open 7 days a week, Advent’s Swim Academy coaches are eager to show you and your kids safe and enjoyable water activities. 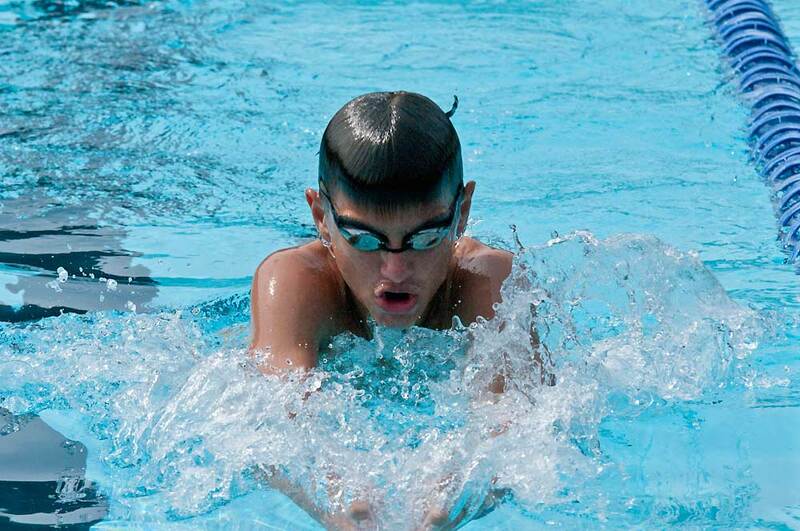 Choose from a variety of private and group swimming lessons. Advent offers a maintenance swim program for summer athletes with high-performance coaches. We prepare athletes for major competitions for affiliated winter swim clubs. Our athletes attend swim meets without any limitations. Take a step closer to swimming confidence – call Advent’s Swim Academy today. Only Advent Offers The Unique Program With High-Performance Coaches! As you’ve read above, Advent is offering more than just training in swimming. Our program and coaching staff are the best and make everyone happy with the results! Contact us for more details! Can ADVENT Attend Swim Meets?